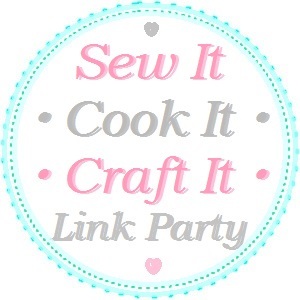 Welcome to the Sew It Cook It Craft It Link Party. I’m excited what you’ll be sharing today. Please link back to the link party somewhere on your blog and share it via your social media so that others can find the link party. More link party visitors means more traffic for your blog! 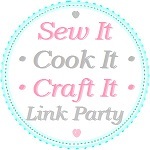 Link up your recipes, sewing and DIY projects. I’d also love to see natural makeup and hairstyle tutorials, and things you made for your dogs and pets. Link up as many posts as you like. Don’t link up posts you’ve linked before. Please do not link your Etsy shop, business or giveaways. Please pin images from the original blog. By entering a link, you give me permission to use your photos in features, round-ups and to promote the party. Proper credit with a back link to you will always be given. 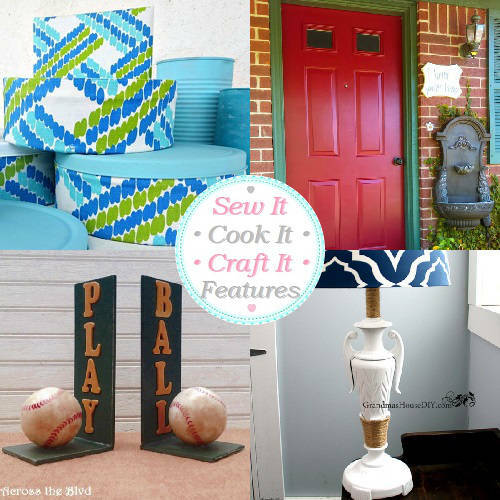 I’m pinning the features to my Sew It Cook It Craft It pinterest board. Thank you for the party today, Lina. 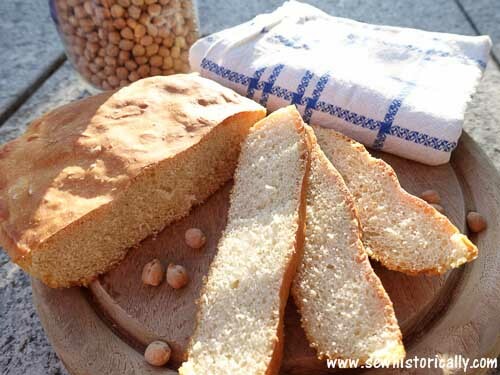 I’m going to check out that Chickpea Leavened Bread! Thank you so much for featuring our gaudy lamp transformation! Have a great week! My first party here, yay! 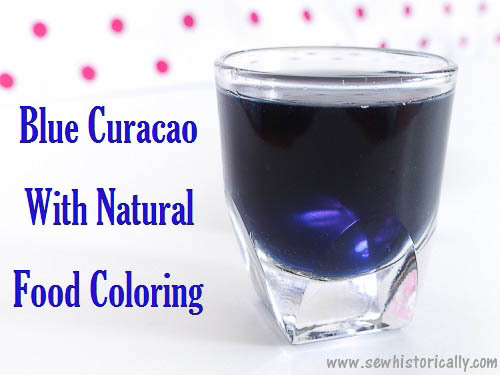 Adding this to my party list. Lina thank you so much for the feature and for hosting each week. I hope the rest of your week is great! Thanks so much for featuring my front door makeover! Thank you for hosting another fun party! Enjoy your day! Thanks for hosting and thanks so much for including my Bookends in your features. Hope you’re having a wonderful week, Lina.